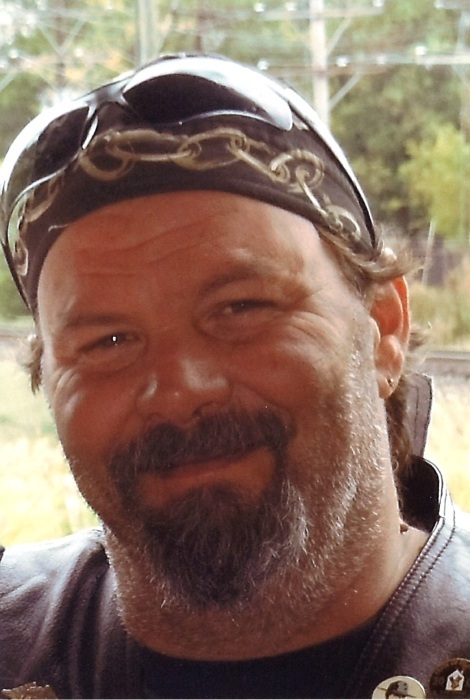 Wayne “Big” Geiger, age 54, of Townsend, Delaware, left this world peacefully, surrounded by his loving family and best friend on Thursday, August 30, 2018. Wayne was born on January 24, 1964, the son of the late Robert and June “June Bug” (Marshall) Geiger. He was a graduate of Wilmington High School and worked for Harvey & Harvey/Waste Management for 30 years as a heavy equipment operator. Wayne enjoyed many activities: riding his Harley with his “Woman” and good friends for Sunday Funday outings, fishing, crabbing, horseshoes, corn hole, and golf cart rides. He also enjoyed spending time with his wife and his grandson, Ryder in his “Happy place,” Trails End Campground. He was an avid Eagles fan and was thrilled to see them win the Super Bowl. His survivors include his loving wife and best friend of 18+ years, Leslie (Douglass) Geiger; sons, Wayne R. “Little” (Amanda), and Carlo; his daughter, Shannon; grandchildren, Abby, Jordan, Emma, and Ryder, whom he and Leslie have raised for the past three years. He is also survived by his mother-in-law, Ann “Mudder” (Roberts) Douglass, they shared a very special bond; his life-long friend and “brother” of 50 years, Mark Crossan and his wife Anne-Marie, and Brian and Beth Murawski; his brother-in-law, James (Beth) Douglass; his sister-in-law, Julia (David) Heller; his sisters, Christine Carrico, and Robin Geiger; his brother, John “Slice” Geiger; and a host of nieces, nephews, and cousins. A visitation will be held on Saturday, September 8, 2018 from 1 pm to 2 pm in the Faries Funeral Chapel, located at 29 South Main Street in Smyrna. Memorial services will begin at 2 pm. Burial will be privately held. The family would like to extend their deepest appreciation to New Century Hospice, especially Debbie Dickerson, RN, Melissa Breslin, CNA, and Dan Gottwerth, Chaplain, for the outstanding and compassionate care provided to Wayne in his final days, and for the support that they provided to the family and for going above and beyond to allow Wayne and Leslie to renew their wedding vows. A huge thank you to all of our friends that rallied to help in any way they could to allow us to spend as much time with Wayne over the last couple of weeks. In lieu of flowers, donations in Wayne’s memory should be made to New Century Hospice, 665 South Carter Road #1, Smyrna, DE 19977.